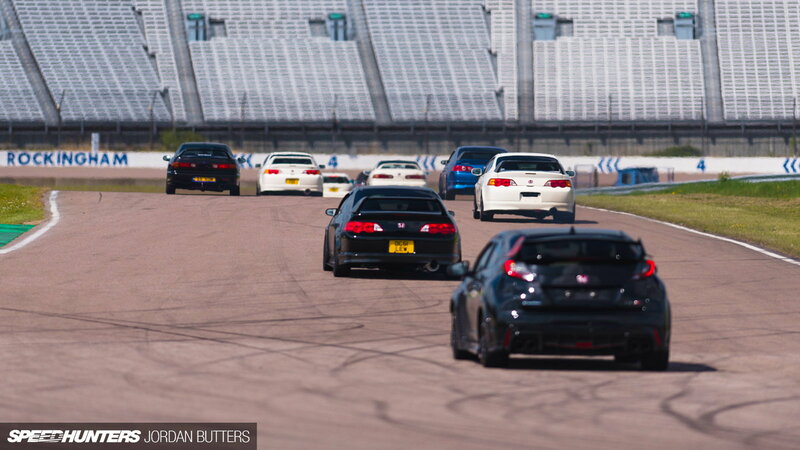 The Honda tuning scene is on full display just north of London at Rockingham Motor Speedway. Check out all of the VTEC goodness that showed up to show out right here. Recently SpeedHunters took the trip over to the usually gloomy Europe to check out a Honda meet that rivals some import shows here in the states. In what started out as a gathering of a small group of friends years ago at a service station has swelled into a meet at a shopping center parking lot and finally to a motoring track. 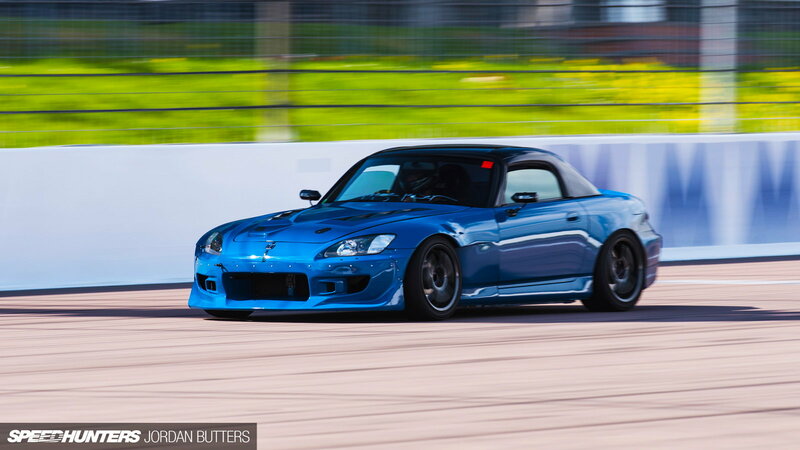 The Mimms event is well known in the import scene and this meet sees participants coming from all over Europe to take part in the fellowship of other Honda owners and to improve their driving at the racetrack. Big Mike, a larger than life personality from the Southern Californian Honda scene, made the pilgrimage to this year's event but unfortunately had to leave his Prelude at home. 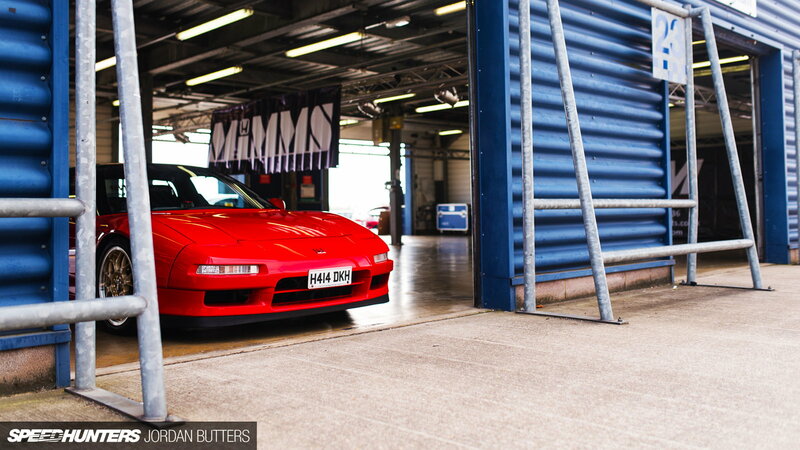 >>Join the conversation about Mimms Honda Performance Days right here in S2Ki.com. Walking through the paddock gives a really nice selection of not just so of the best that Honda has put out over the years but a look at the style of modding in the U.K. This NSX with gold BBS wheels is just amazingly beautiful and is one of the rare pre-order models. In fact, the chassis number is around 45 to give you an idea of how early this model was produced. Another thing one would notice after looking at these cars is that there are very few that have mods done for just style. The majority of these cars have been done with performance in mind and heavily favor function over form. Another car that was a standout is this DC2 Integra Type R sitting on Advan RGs. Seeing this takes me right back to those days of flipping through Super Street magazines and fantasizing about owning one. Walking further into the further was an honest to God Mugen Civic double R. These cars were limited to about 300 for the Japanese marketplace. Some say that the entire lot was sold out within 15 minutes of going on sale. If there a time for the shut up and take my money meme, this car fits that bill to a T.
Out on the track was a gaggle of cars doing their thing that ranged across the years from Honda. From an EK Civic to DC5s to a stripped down Accord Type R. Listening intently to these cars making the rounds on the track you can definitely tell that a good deal of these were boosted vehicles. With a turnout like this one, this seems like it will be the event to that would be worth the effort to make the long trip across the pond. The style of everything having a track oriented look and build really speaks to many enthusiasts hearts and is one that is appreciated. After all, if it doesn't drive better than when you bought it, what's the point?